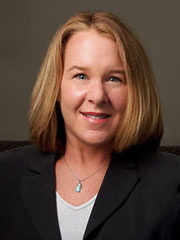 Kim Alexander is president and founder of the California Voter Foundation (CVF), a nonprofit, nonpartisan organization established in 1994 and dedicated to improving the voting process to better serves voters. CVF is a longtime leader in advancing the responsible use of technology in the democratic process, pioneering online voter education and campaign finance disclosure, and transparency and auditing requirements for computerized voting systems. Current priorities include improving voter access to election information, restoring election funding to California’s budget, and improving the vote-by-mail process. Alexander received her B.A. in political science and philosophy from UC Santa Barbara and lives in Sacramento. Josh Benaloh is Senior Cryptographer at Microsoft Research and an elected director of the International Association for Cryptologic Research. He earned his S.B degree from the Massachusetts Institute of Technology and M.S., M.Phil. and Ph.D. degrees from Yale University where his 1987 doctoral dissertation, Verifiable Secret-Ballot Elections, introduced the use of homomorphic encryption to enable end-to-end verifiable election technologies. Dr. Benaloh’s numerous research publications in cryptography and voting have pioneered new technologies including the “cast or spoil” paradigm that brings voters into the verification process with minimal burden. He has served on the program committees of dozens of cryptography and election-related conferences and workshops and is a frequent speaker on the history, development, and mechanisms behind verifiable voting. Among other side interests, Dr. Benaloh recently completed two years as chair of the Citizen Oversight Panel for the Seattle region’s Sound Transit agency that is currently investing about $1 billion per annum in improving the region’s mass transit infrastructure. He has also authored numerous puzzles used in a variety of Seattle-area puzzle competitions. Dr. Buell is a professor in the Department of Computer Science and Engineering at the University of South Carolina. He has been chair of the department, interim dean of the college, and holds the NCR Chair in Computer Science and Engineering. Previous employment included fifteen years at the Supercomputing Research Center/Center for Computing Sciences of the Institute for Defense Analyses. 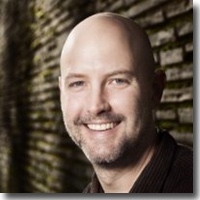 Duncan has experience in big data computations, cryptographic mathematics, and the design of specialized hardware systems. He has worked with the League of Women Voters of South Carolina in the analysis of election data in South Carolina, and his software has been used for election data analysis in other states that use similar voting machines. 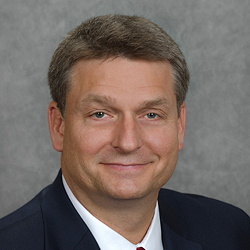 He has been an expert witness on issues of open records for election data and intellectual property claims in software and hardware systems and served as technical consultant in the analysis of very long lines in Richland County SC in the 2012 general election. Willing to be interviewed on the record for national and regional media (written or recorded), available for television and radio interviews; available as an expert witness (pro bono or paid, depending upon the client). Mark Earley is the Supervisor of Elections for Leon County, Florida. In his 30+ years of service in elections, he has installed and managed deployments of paper based voting systems across the nation and been a primary partner with vendors in the design, testing, certification, and implementation of solutions for the elections field including tabulation systems, post-election audits, and election management and inventory control systems. Mark’s experience and success in managing elections in a challenging political environment in both the public and private sectors gives him a unique perspective in the development of election policy and procedures. Aleksander Essex is an assistant professor in the Department of Electrical and Computer Engineering at The University of Western Ontario, and head of the Western Information Security and Privacy Research Laboratory. He specializes in applied cryptography and network security, with a focus on cyber threats to electronic and online voting. 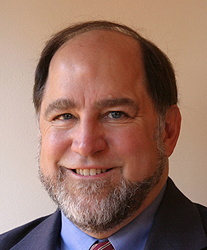 During his graduate research he worked with eminent cryptographers David Chaum and Ron Rivest to develop cryptographic techniques for publicly end-to-end (E2E) verifiable elections. In 2007 he co-organized the first E2E deployment in a binding election for the University of Ottawa’s graduate students’ union. In 2009, and again in 2011, he was part of a team led by Chaum and Rivest that deployed Scantegrity in Takoma Park, MD-–the first E2E verifiable system used in a governmental election. Part of his research focuses on applications of cryptography to the sharing of health information, such as private records linkage and genomic privacy. His postdoctoral work at the Children’s Hospital of Eastern Ontario focused on the design of secure protocols for public-health surveillance. 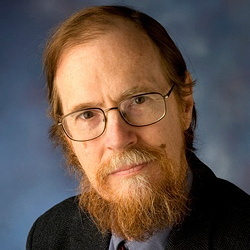 His work in applied cryptography includes the recent discovery of an RSA-based public-key encryption scheme for homomorphically computing one-sided threshold functions. His recent work in election technology has focused on the discovery and exploitation of vulnerabilities in existing online voting deployments. In 2015 his research group discovered vulnerabilities in the Helios voting website including allowing a disgruntled voter to prevent election results from being decrypted, or for an attacker to cast arbitrarily many votes (even negative votes), while presenting valid cryptographic “proof” the election was counted correctly. He was part of the research team that studied the iVote internet voting system used in the Western Australia state election in 2017, which raised important questions about extent of trust placed in cloud providers in the election setting. In 2014 he served as a subject matter expert evaluating the security of vendor proponent systems in the city of Toronto’s internet voting RFP process. He co-authored a report finding that no proposal met the city’s security requirements, which has been made available online by Verified Voting under freedom of information. He has contributed to several recent decisions in Canada at various levels of government declining (and in one case reversing) the adoption of online voting, including by the parliamentary Special Committee on Electoral Reform (2016), the New Brunswick Special Commission on Electoral Reform (2016), the city of Toronto (2016), and the city of Guelph (2017). Dr. Essex received a Ph.D. in computer science from the University of Waterloo in 2012. He is a member of the IEEE, ACM, EVN, and is a licensed professional engineer in Ontario. 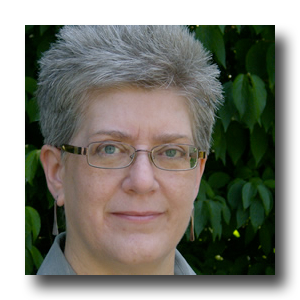 S. Candice Hoke is a widely recognized national authority on laws governing election technologies, election management, and federal regulatory programs reflecting federalism values. 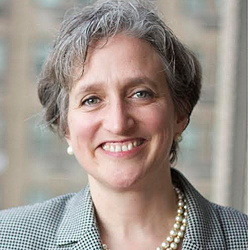 Her most recent publications focus on election technology regulatory issues, some of which were co-authored with computer security scientists. Hoke presents her research in academic, technology, and election policy forums throughout the country. She has testified before Congress on federalism aspects of health care reform legislation and on election policies needed to achieve greater public accountability. She founded and directed the Center for Election Integrity, which conducted nationally unprecedented field research on deployed voting technologies and election administration management problems. Her research and policy leadership has led to major national foundation funding and to foundation consulting work on election policy issues. She served three terms on the American Bar Association’s Advisory Commission on Election Law. She has consulted with all levels of government on election policies and technology issues. She serves on the Advisory Boards for the Verified Voting Foundation and other nonpartisan election improvement nonprofits located in Florida and Michigan. Dr. Douglas W. Jones, Ph.D.
Douglas W. Jones is on the computer science faculty at the University of Iowa, where he has been since 1980. He co-authored “Broken Ballots: Will Your Vote Count?” with Barbara Simons, His involvement with electronic voting began in 1994, when he volunteered to serve on the Iowa Board of Examiners for Voting Machines and Electronic Voting Systems. He chaired the board from 1999 to 2003, and has testified before the US Commission on Civil Rights, the House Committee on Science and the Federal Election Commission. He was a co-principal investigator in the NSF funded multi-institution research center, ACCURATE (A Center for Correct, Usable, Reliable, Auditable, and Transparent Elections), from 2005-2011. Outside the US, he worked as an election observer in Kazakhstan and the Netherlands. Jones was also the technical advisor for the Emmy nominated HBO documentary “Hacking Democracy” released in 2006. Jones received a B.S. in physics from Carnegie Mellon University in 1973, and an M.S. and Ph.D. in computer science from the University of Illinois at Urbana-Champaign in 1976 and 1980 respectively. Voting technology, how we came to vote using technology, voting system acquisition and evaluation. Election Administration, Technical Issues. Prefer initial contact by e-mail, Willing to be interviewed on the record for national and regional media (print or broadcast), available for television and radio interviews; available as an expert witness. 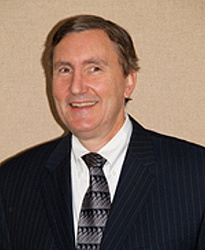 Douglas A. Kellner has served as Co-Chair of the New York State Board of Elections since 2005. Before assuming his responsibilities at the State Board of Elections, he served as commissioner of the New York City Board of Elections. He is an experienced election lawyer having served as the Co-Chair of the Law Committee of the New York Democratic Committee from 1982 to 1993. He has also served as the Chairman of the Election Law Committee of the New York County. Lawyers Association. When he was first appointed to the New York City Board, Commissioner Kellner was the very first election official to call for a voter verifiable paper audit trail for electronic voting machines, a principle now enshrined not only in New York law, but in the election codes of a majority of the states throughout the nation. While leading the opposition to unverifiable electronic machines, Commissioner Kellner was instrumental in promoting new technology for scanning absentee and provisional ballots. He drafted model procedures to open the process of canvassing ballots to public scrutiny and convinced his fellow commissioners to adopt rules that provided meaningful due process in ballot challenges. He has been an outspoken advocate for improving the voting process in New York while insisting on transparency, verifiability and uniformity in voting. Dr. Kiniry is a Principal Investigator at Galois and the Principled CEO and Chief Scientist at Free & Fair. Over the past decade he has held permanent positions at four universities in Denmark, Ireland, and The Netherlands. 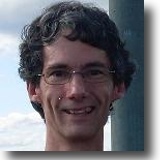 Joe has extensive experience in formal methods, high-assurance software engineering, foundations of computer science and mathematics, and information security. He has over ten years experience in the design, development, support, and auditing of supervised and internet/remote electronic voting systems. 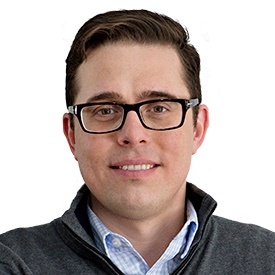 He co-led the DemTech research group at the IT University of Copenhagen and has served as an adviser to the Dutch, Irish, and Danish governments in matters relating to electronic voting. Elections systems correctness and security, certification of election systems, hacking election systems, hacktivism, systems and election auditing, risk-limiting audits, the modern state of affairs in Internet Voting, the current worldwide state of the elections business, elections methods and technology in the USA and around the rest of the world. Technical Issues. Willing to go on the record for major national and regional media (written or recorded), available for television and radio interviews; available for expert witness consulting (pro bono or paid, depending upon the client). 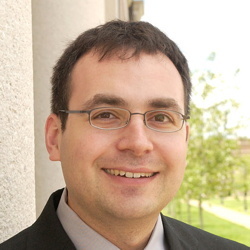 Mark Lindeman is a political scientist who studies public opinion and elections. He presently lectures at Columbia University in quantitative methods, and led the revision of Carroll Glynn et al.’s multidisciplinary textbook Public Opinion. Mark’s election verification work stems from controversies about the 2004 general election exit polls and other purported statistical evidence of widespread fraud. Some of his research in this area appears in three chapters of Scheuren and Alvey’s Elections and Exit Polling. Seeking a more constructive approach to election verification, Mark has emerged as an expert in the design of post-election vote tabulation audits. Mark has published extensively about such audits (often in collaboration with Philip B. Stark), and has consulted pro bono with advocates and legislators in several states and the District of Columbia. Mark was lead author of the white paper, “Risk-Limiting Post-Election Audits: Why and How.” Mark serves as chair of the Coordinating Committee of the Election Verification Network. Statistics and Auditing. Post-election vote tabulation audits and related verification measures; exit polls, election fraud controversies, and election forensics. Available for various kinds of interviews and consultations. Neal McBurnett is an independent consultant in election integrity and security. He has worked to improve election integrity since 2002 by pioneering post-election audits, working with election administrators, legislators and secretaries of state. He did the first risk-limiting audit outside California, and collaborated on Colorado’s Risk Limiting Audit project and ballot-level risk-limiting audits that reached new levels of efficiency and scale. He also audited the innovative Scantegrity end-to-end-verifiable election in Takoma Park MD in 2011, and is a member of the STAR-Vote design team. 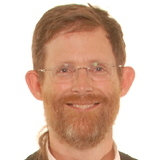 Neal has also worked on data format standards for elections via the IEEE and the US Election Assistance Commission (EAC), and is active with the Election Verification Network. He has computer science degrees from Brown and Berkeley, and worked for Bell Labs, Internet2 and Databricks. He can often be found dancing in one of the Avalon ballrooms in Boulder Colorado. Dr. Walter R. Mebane, Jr., Ph.D.
Walter R. Mebane, Jr. is Professor of Political Science and Professor of Statistics at the University of Michigan, Ann Arbor. His current project is Election Forensics, which develops statistical and computational tools for determining whether election results are accurate. His work includes papers about the 2000 presidential election, a report for the Democratic National Committee analyzing the 2004 presidential election in Ohio, and analysis of election fraud in Russia and in the 2009 election in Iran. Recently, with support from USAID, he created the Election Forensics Toolkit, which implements various diagnostic tools, and applied the methods to data from several countries. Willing to communicate with elections officials, elected officials and their staff, the media, vendors, integrity advocates, and academics. 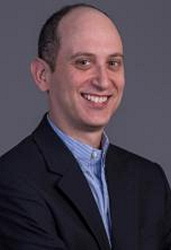 Lawrence Norden is Deputy Director of the Brennan Center’s Democracy Program. He works on a variety of issues, from money in politics to voting to government dysfunction. During his time at the Brennan Center, he has authored several nationally recognized reports and articles related to law and democracy, including Five to Four (2016), Voting Machines at Risk (2015) and Better Design, Better Elections (July 2012). His work has been featured in media outlets across the country, including The New York Times, The Wall Street Journal, Fox News, CNN, MSNBC, and National Public Radio. He has testified before Congress and several state legislatures on numerous occasions. Whitney Quesenbery is co-Director at the Center for Civic Design, which believes democracy is a design problem. The Center conducts research to help government officials engage voters with well-designed materials, and partners on projects to share what we learn. Their best known projects are the Field Guides to Ensuring Voter Intent, the Anywhere Ballot, and the Election Toolkit. They have also worked directly with election officials from states from Pennsylvania to California to update their election materials and improve their design skills. Whitney served on the Election Assistance Commission committee writing the Voluntary Voting System Guidelines (VVSG), and continues to do research to inform the ongoing development of these standards. She also served on the federal advisory committee updating Section 508 accessibility regulations. She developed and teaches the first election design course in the country as part of the University of Minnesota Certificate in Professional Election Administration. Election Design. Ballot design, civic and election design, voter information and outreach, voting system standards for usability and accessibility, designing to ensure voter intent, user experience research with voters, accessibility, plain language. Happy to talk. Get in touch! Ron Rivest is an Institute Professor at MIT in EECS, CSAIL, the Theory Group and the Cryptography and Information Security Group. His research includes cryptography, security, algorithms, and voting systems. Rivest is a co-inventor of the RSA public-key cryptosystem, a founder of RSA and of Verisign. He received the 2002 ACM Turing Award with Adi Shamir and Len Adleman. 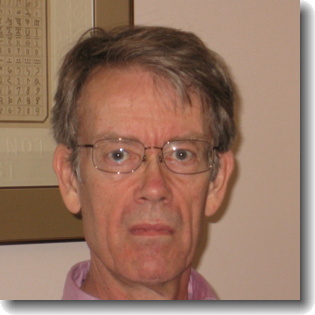 He is a co-author of “Introduction to Algorithms”, a member of the NAE and the NAS, and a fellow of ACM, IACR, and AAAS. He is on the EPIC Advisory Board and the board of Verified Voting. Dr. Simons has been on the Board of Advisors of the U.S. Election Assistance Commission since 2008. She co-authored “Broken Ballots: Will Your Vote Count?” with Prof. Douglas Jones. She was a member of the National Workshop on Internet Voting that was convened at the request of President Clinton and produced a report on Internet Voting in 2001. She participated on the Security Peer Review Group for the US Department of Defense’s Internet voting project (SERVE) and co-authored the report that led to the cancellation of SERVE because of security concerns. 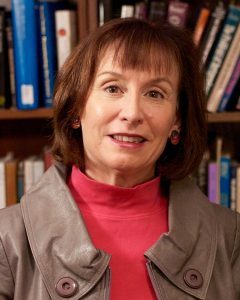 Simons co-chaired the Association for Computing Machinery (ACM) study of statewide databases of registered voters, she co-authored the League of Women Voters report on election auditing, and she co-authored the July 2015 report of the U.S. Vote Foundation entitled “The Future of Voting: End-to-End Verifiable Internet Voting”. Simons is a former President of ACM, the oldest and largest international educational and scientific society for computing professionals. She is retired from IBM Research and is Board Chair of Verified Voting. Correctness and security of electronic election systems; policy issues relating to voting technology; Internet voting in the U.S., Canada, and Estonia. Technical Issues. Willing to be interviewed on the record for major national and regional media (written or recorded), available for television and radio interviews. Stephanie Singer has assembled, analyzed and explained data for private businesses, public agencies, campaigns and election oversight. From 2012-2016, she served on the Philadelphia County Board of Elections improving communication, modernizing processes, rooting out corruption and protecting voters’ rights. She won the post by defeating a 36-year incumbent in a citywide election. 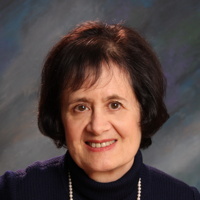 Singer co-chaired the statewide Election Reform Committee of the County Commissioners Association of Pennsylvania and is an active member of the national Election Verification Network. Singer studied math and computer science at Yale and Stanford, earned a Ph.D. from New York University and has written two books on physical mathematics. Voter registration lists, poll workers, election culture, citizen oversight and the role of parties in election conduct, especially in Pennsylvania and Philadelphia. 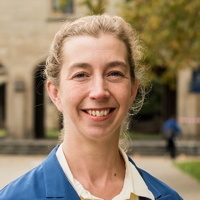 Dr Vanessa Teague is a Senior Lecturer in the Department of Computing and Information Systems at The University of Melbourne, Australia. Her main research interest is in electronic voting, with a focus on cryptographic schemes for end-to-end verifiable elections and a special interest in complex voting schemes such as IRV and STV. She was a major contributor to the Victorian Electoral Commission’s end-to-end verifiable electronic voting project, the first of its kind to run at a state level anywhere in the world, joint work with Chris Culnane, Peter Ryan and Steve Schneider. She recently discovered, with Alex Halderman, serious security vulnerabilities in the NSW iVote Internet voting system. She is on the advisory board of Verified Voting and has been co-chair of the USENIX Electronic Voting Technologies Workshop and the (European) International conference on E-voting and identity. This year she was awarded the EVN’s award for research excellence in e-voting integrity. Verification of electronic election outcomes, particularly cryptographic verification protocols and complex voting schemes such as IRV and STV, Technical Issues. Javascrip must be enabled to view this email address. Dan S. Wallach is a Professor in the Department of Computer Science and a Rice Scholar at the Baker Institute for Public Policy at Rice University, where he has been for 18 years. 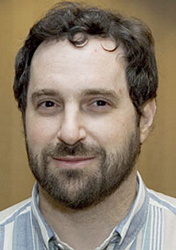 His research considers a variety of topics in computer security, including electronic voting systems security, where he served as the director of an NSF-funded multi-institution research center, ACCURATE (A Center for Correct, Usable, Reliable, Auditable, and Transparent Elections), from 2005-2011. He has also served as a member of the Air Force Science Advisory Board (2011-2015) and the USENIX Association Board of Directors (2011-2013). 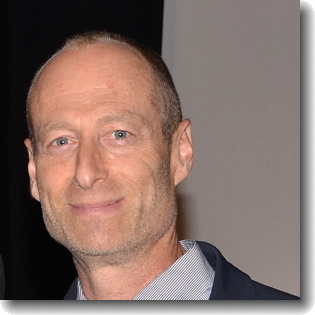 Wallach earned his M.A. (1995) and PhD (1999) from Princeton University, advised by Profs. Edward Felten and Andrew Appel. He earned his B.S. EE/CS from the University of California, at Berkeley (1993). Computer security, including the security of electronic voting systems, Technical Issues.